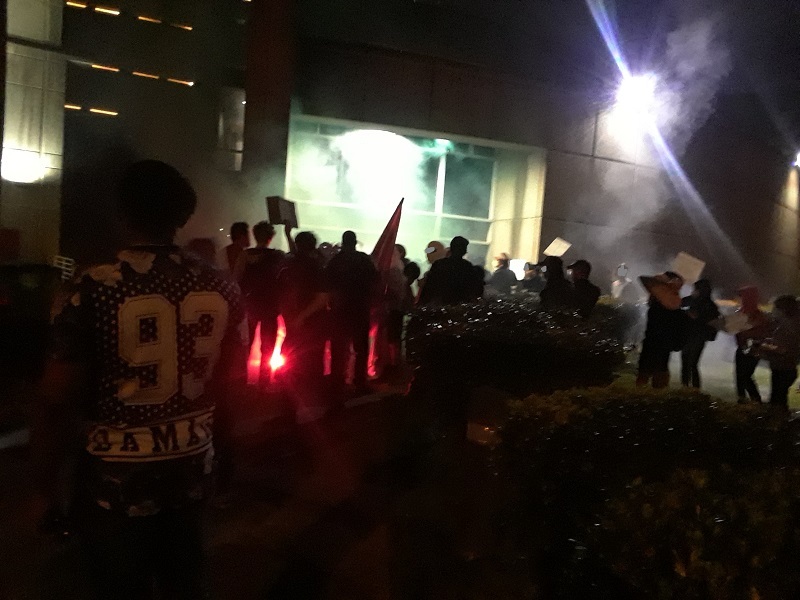 On Friday, April 12 2019, a noise demonstration was held outside DeKalb County Jail in metro Atlanta. The noise demonstration was called in solidarity with prisoners at the jail, who had protested their inhuman conditions - inmates had shared photos of their situation, stating "please help we dying." Four people were arrested at the noise demo, including two who now face felony charges. The protesters showed solidarity with prisoners facing horrendous conditions. We must now also show solidarity with those facing repression from the demo. We have bailed out all four arrestees! This could not happen without the solidarity of all your contributions, it means a lot to those arrested. One of the two people who was facing felonies had their charges reduced to misdemeanors, but overall the charges are still serious. We are still fundraising for legal defense, further contributions will be used to help these protesters beat their cases. Support DeKalb Co. Jail Noise Demo Arrestees!